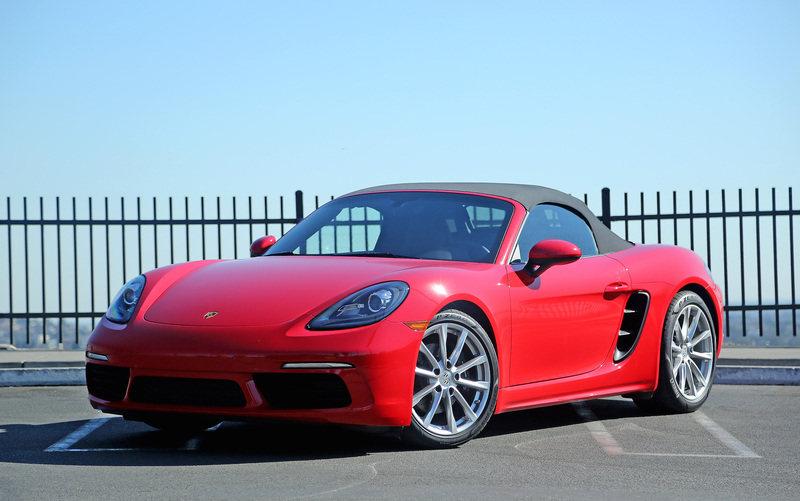 The 2017 Porsche 718 Boxster with the top up. The newest Boxster comes with a 2.0-liter, turbocharged boxer four cylinder engine that makes 300 horsepower. A six-speed manual transmission puts the power to the ground.